An RSI or Repetitive Stress Injury is an injury, syndrome or disorder of the nervous or musculoskeletal systems caused by the repetition of movements and sustained strain. RSIs are most commonly associated with office work or manual labour and if left untreated can lead to chronic pain. RSIs will usually manifest as a tenderness, throbbing, or tingling in the affected muscle or joint. The only way to completely eradicate an RSI is to eliminate the source of the stress or strain on your body. 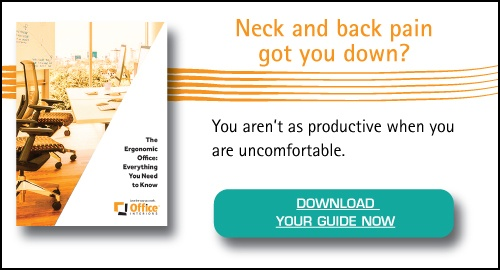 In an office setting, an ergonomic intervention is often the most effective method of prevention. Want to learn more about the prevention of RSIs? Check out this article for three tips to prevent Repetitive Strain Injuries in your office.